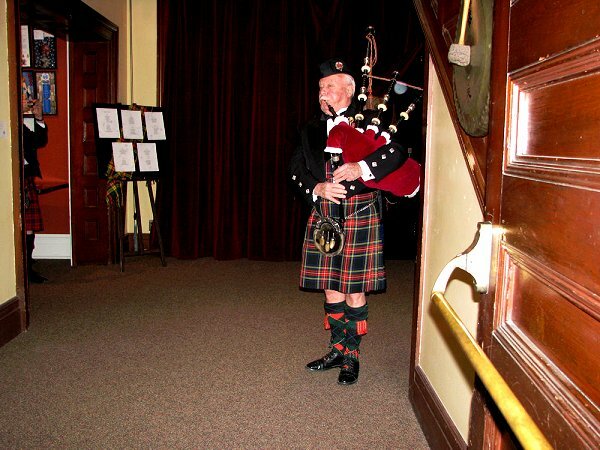 Pipe Major John Wakefield, 1932-2015, led the pipe band of the Toronto Scottish Regiment (The Queen Mother's Own) during the 1960s, 1970s and 1980s. John was the personal piper to the Queen Mother during her royal visits to Canada. He received several honours, including the Canadian Forces Decoration and was made a Member of the Order of Military Merit, the military equivalent to the Order of Canada, Later, he was appointed personal piper to The Honourable David C. Onley, the 28th Lieutenant Governor of Ontario.